Featuring enhanced performance and process control capabilities. The EXCEL® XR metering pump is a mechanically actuated diaphragm pump driven by advanced variable speed technology to provide the most accurate and reliable performance in the industry. This proven technology is easy to maintain and will provide years of maximum up-time service. Available in two control configurations, manual and enhanced, the EXCEL XR pump fits seamlessly into the process control requirements of every application. The Manual model includes the ideal level of standard features, while the Enhanced model provides a full range of capabilities. All models come standard with a four-color backlit display, multilanguage options (English, French, Spanish, Portuguese, and Chinese), and remote operation options, all in a design platform that can adapt as technology evolves. 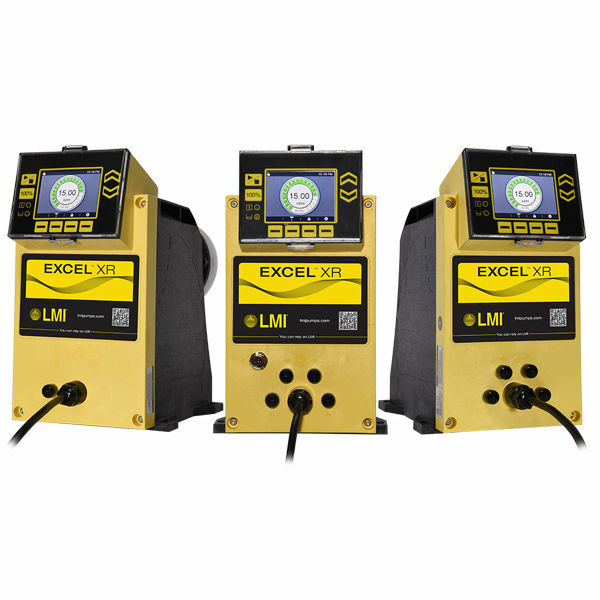 The EXCEL XR metering pump provides everything you need for complete control of your process. Designed for the specific requirements of municipal and industrial water and waste treatment, the EXCEL XR pump is suitable for a wide range of applications.